This time last year I was struggling from what I like to call School Holiday Syndrome, but this year so far it seems to have been a lot more enjoyable. Now don't get me wrong it's not been a breeze at all, but I have tried to be a bit more creative in finding things for him to do. I don't know about you, but he is becoming a bit screen obsessed, always asking for his DS, the TV or a tablet. I am that nasty parent who doesn't like him on computer games for more than an hour a day, yet it doesn't stop him going on and on about it! 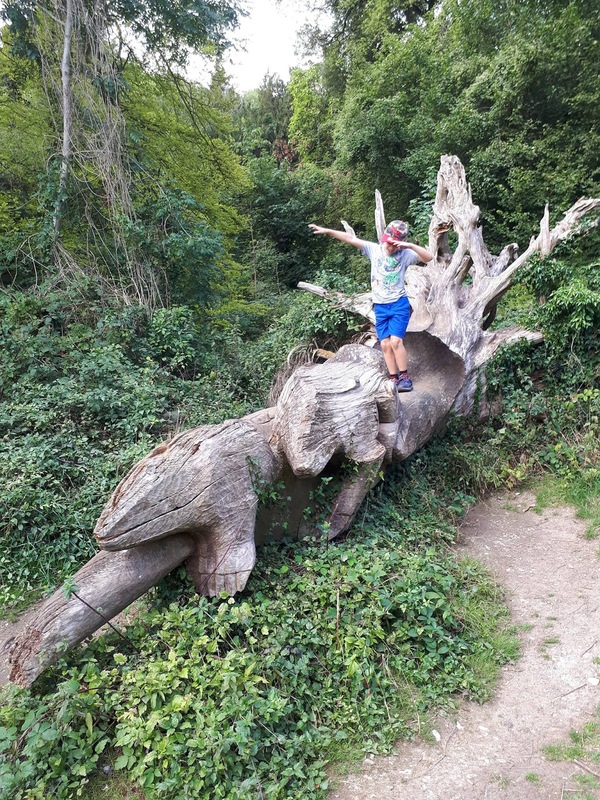 I thought I would write about things that have worked well this year so far, in case you have kids who are beginning to get bored in their fourth week of the holidays! Please add even more ideas in the comments below, because I will need them! Now that we have a little pooch we have done a lot more walking this summer and it's inspired me to find the more interesting areas of Sussex to do this in. We have been going to parks and forests and Chunk has been able to explore the wildlife, trees and plants which he's loved. We have created games while we walk, with the current one being Chunk is a knight trying to defend his queen (me) from villains who are hiding and jumping out while we walk. I am a huge nature lover these days, and spending a few hours within the trees really helps calm my head. We have a lot of stress going on at the moment, so to get that relief without having to pop a pill is brilliant. There has been the odd heavy rain day recently where we have been stuck indoors, so as well as dusting off the board games we have also been playing role play games. Chunk has various superhero costumes he likes to dress up in and lots of superhero figures. 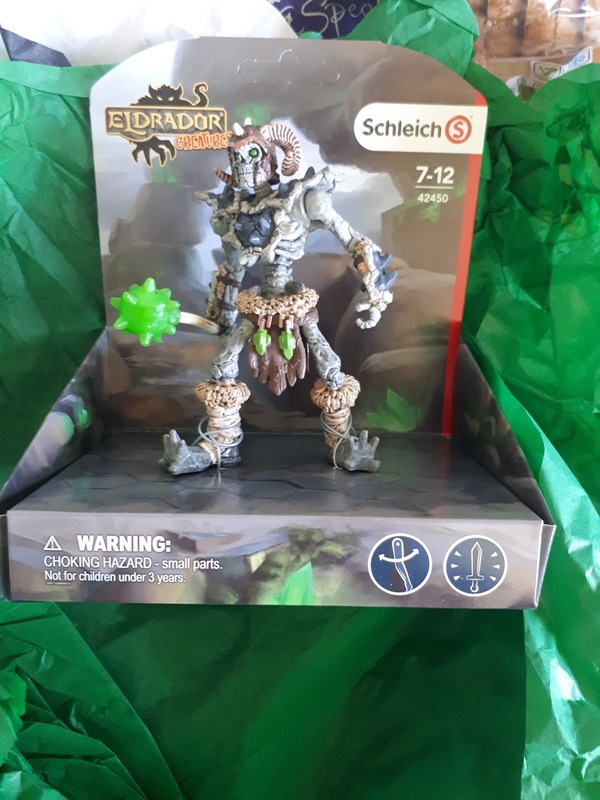 We recently got the Schleich Eldrador Stone Skeleton to add to his collection and he has become one of the villains that Chunk and his fellow superheroes have to stop. 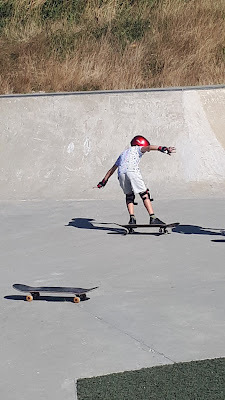 I managed to find a free one-week skateboarding course for Chunk to try and it was brilliant! 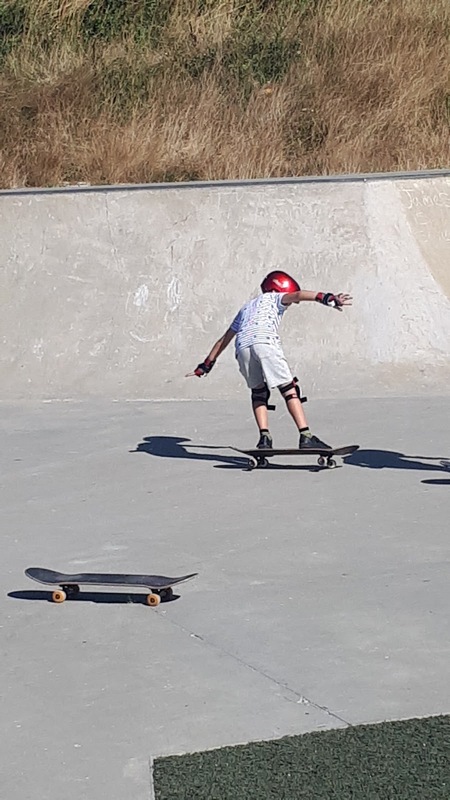 The local council offered one hour per day to teach children the basics and I didn't realise how much there is to think about and do just to skate in a straight line! I loved watching Chunk and his cousin Curly trying to learn different moves, and I bought him a skateboard afterwards in the hopes we can go to some skate parks and continue getting him to learn. He likes the skeleton because in his words "he has a cool weapon and he looks scary" and I like the hand-painted detail that the figure has. There is a whole range of figures that go with the skeleton that I may add to his Christmas list. The range can be found on Amazon here if you want to do the same! 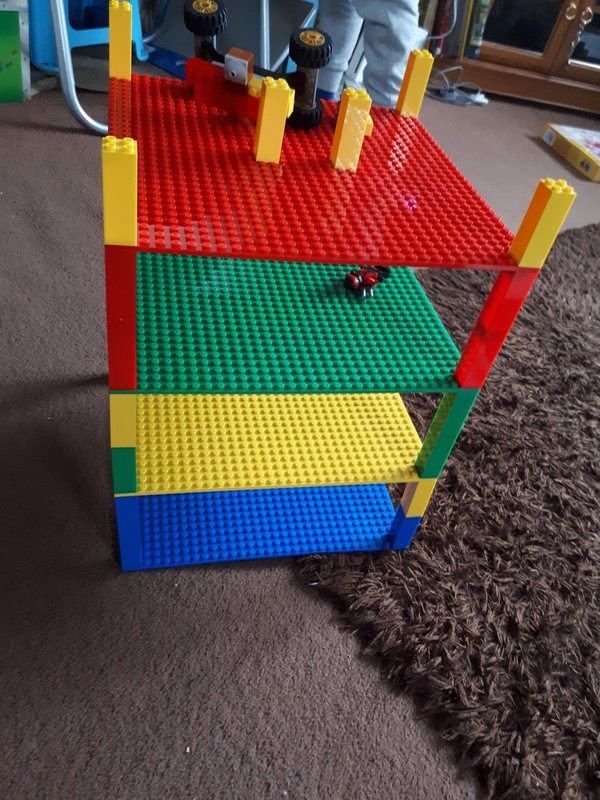 My boy loves to build. 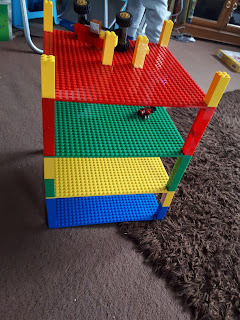 We have so many different building kits and blocks and he will happily spend ages constructing things which is great when I need to get some work done. 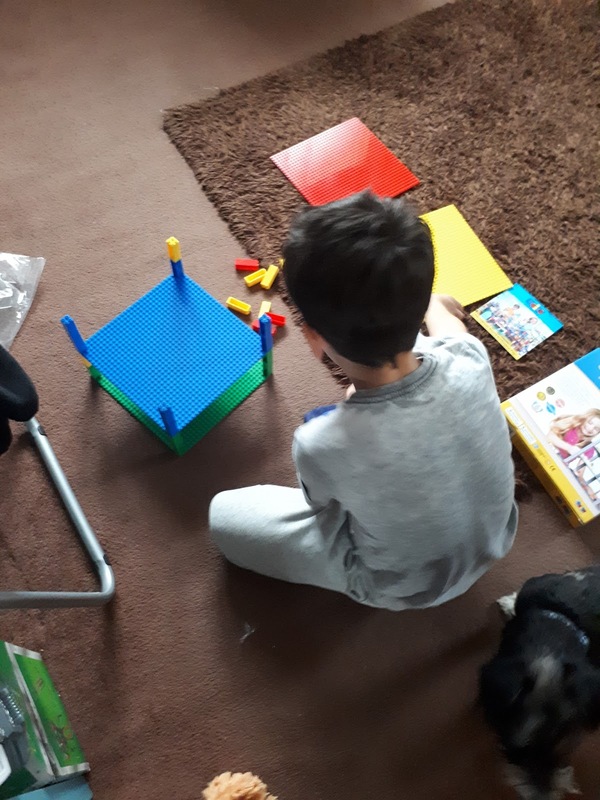 We recently got sent a new game which involves building bricks. Brik Buster by Strictly Briks is a game designed by kids and involves building a tower and then knocking down; Destruction is Chunk's idea of heaven! The game is aimed at children over the age of three and is a great way for us to sit and have some downtime after a long day out and about. 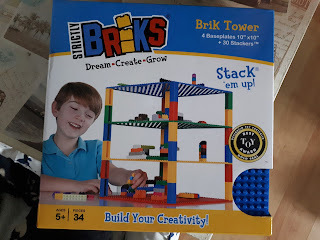 The 133 stackable pieces also fit with Lego, so we can use it to create things besides towers which is an added bonus. This is my second year as an allotmenteer, and with the very hot weather we haven't spent as much time there as I would like. However on the cooler days we have been there and Chunk has enjoyed picking blueberries, strawberries and runner beans while I have been weeding and watering. Even spending half an hour there does wonders for my head, and it seems to visibly relax Chunk too. Plus it's always fun eating the produce afterwards! I will continue to add to this post over the next couple of weeks if I find anything else for us to do, and don't forget to add your ideas below! Products were sent to us to test. No payments were received and all opinions are honest and my own.